Soccer meets Darts! 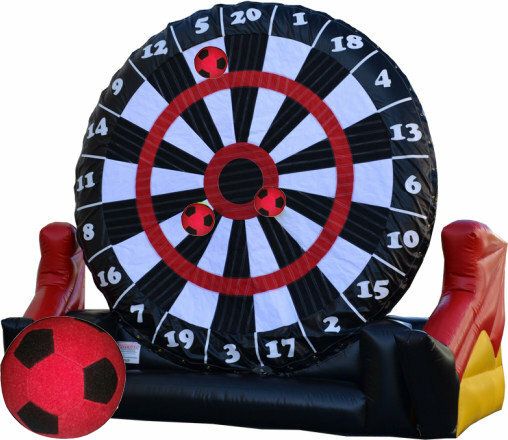 Impress your guests with this popular Soccer Darts interactive sports game. How to play: Kick the velcro ball at the massive velcro dart board and try to get the highest score. Even the best soccer stars will enjoy the challenge of kicking a ball at the massive dart. Both children and adults will have an amazing time battling to get the highest score. Includes 3 balls. Balls are easily removed with a strap that is attached to the unit.